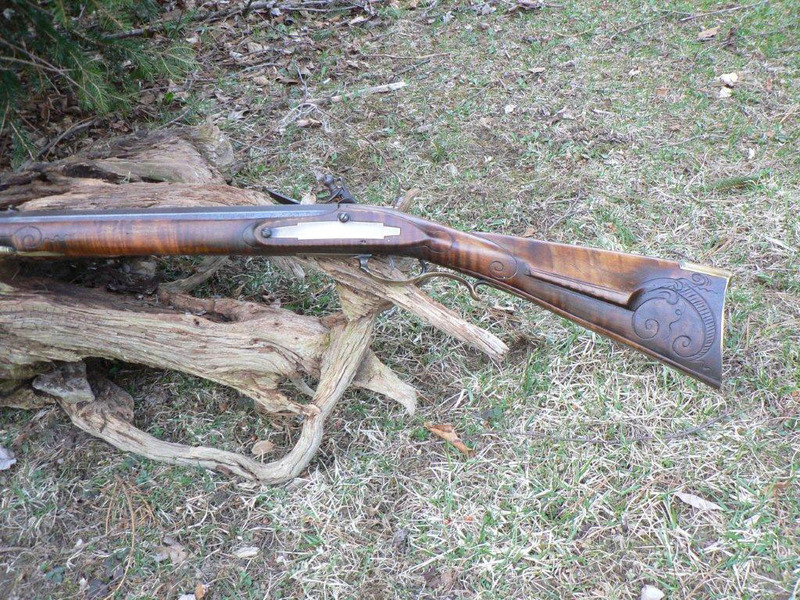 This rifle is a close copy of an early rifle attributed to David Morton. 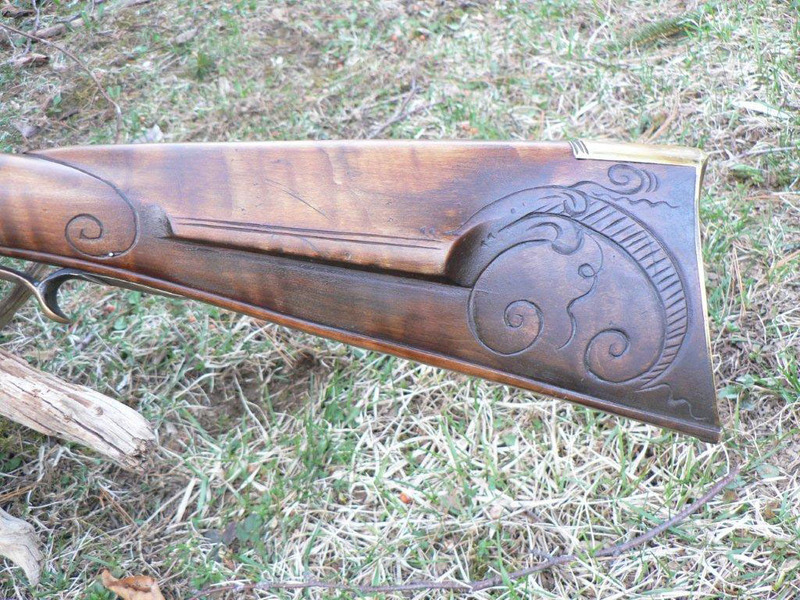 The original was unsigned, but the carving etc. is an exact match for Morton’s later work. 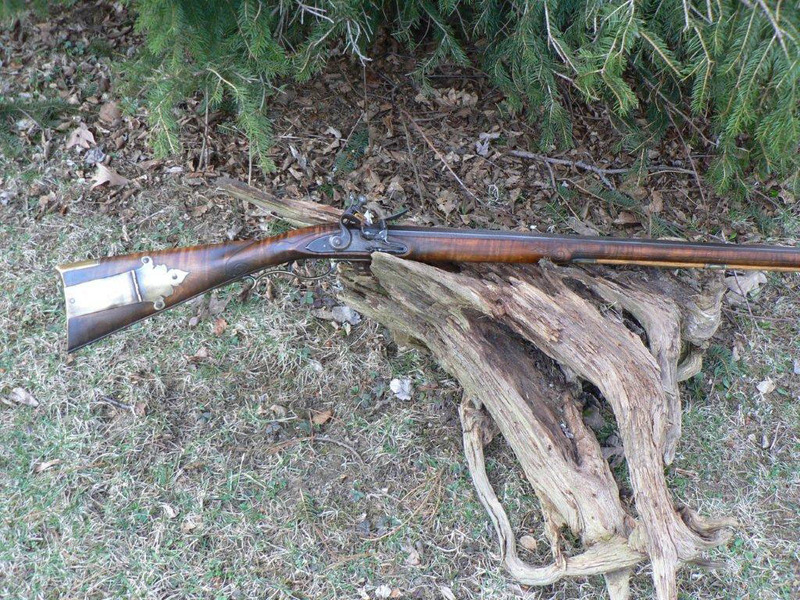 The original rifle is a very early version of a western PA rifle and is about 60 cal. The copy was built around a 58 cal. 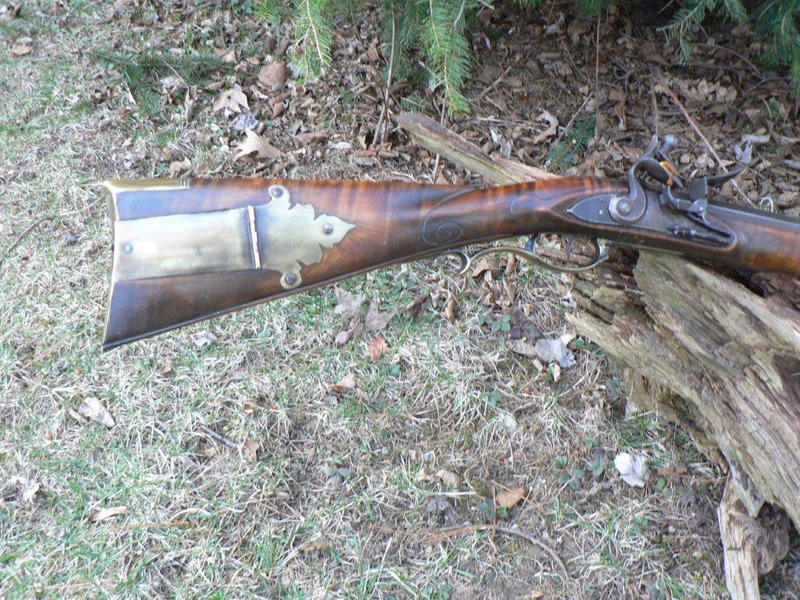 44″ barrel, and for a large rifle, handled quite well. 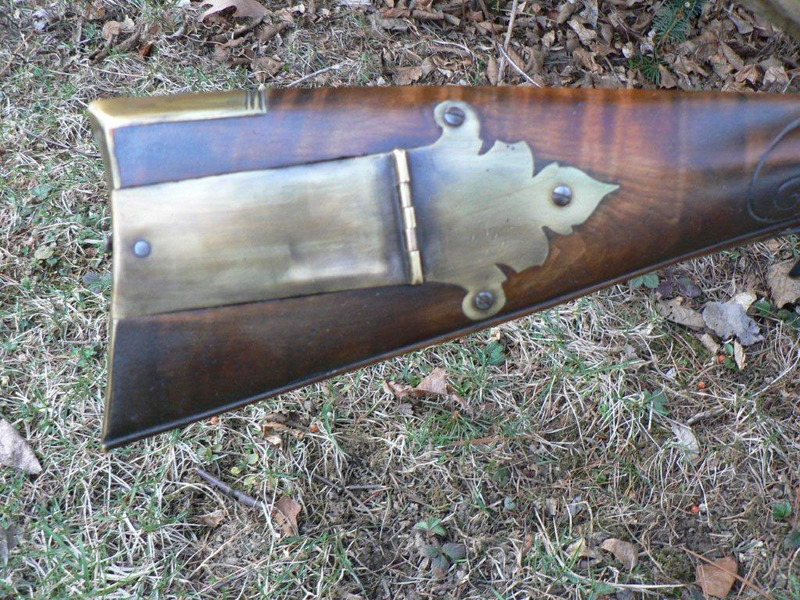 A nice example of what an early rifle looked like.